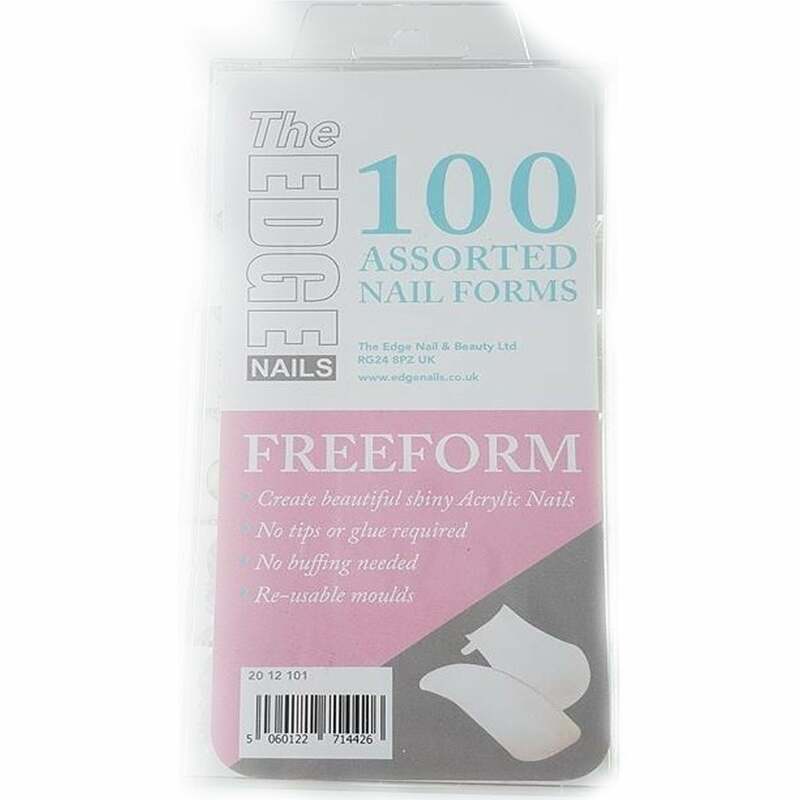 Edge Nails have a wide range of false assorted nails for your choosing to give your nails the extra Edge. A brilliant way of improving nail enhancements. No tips or glue is required, and no need for buffing. Made of virgin abs plastic and offer both strength and flexibility. A minimum amount of blending is required for these tips. Use the Edge Premium Acrylic Powders, or other faster setting polymers. The dual forms are reusable and can be sanitized. Step by step instructions can be found on the reverse.